NASA is looking for new habitat concepts. Of course, it pays if you’re a major aerospace firm with the resources to produce the habitats that will be needed on the space agency’s efforts to send crews to deep space destinations such as an asteroid and perhaps, one day, Mars. NASA has opened up solicitations for prototypes of deep space habitats under the agency’s Next Space Technologies for Exploration Partnerships-2 (NextSTEP-2). This serves as a follow-on to the October 2014 NextSTEP Broad Agency Announcement (BAA) will look to further the development of technologies that involve propulsion, small satellites as well as habitation. For some time, NASA wasn’t exactly known for its efforts to work with private firms outside of what was the traditional norm. However, since even before the end of Space Shuttle era in 2011, that has begun to change with the agency entering into more and more public-private partnerships such as NextSTEP. 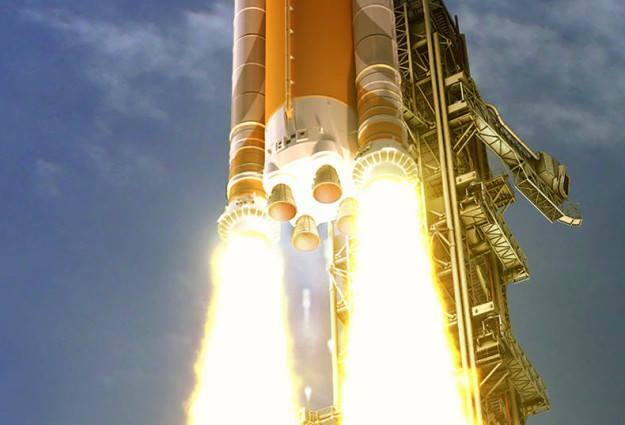 NASA has spent a considerable amount of its time and wealth to develop the agency’s new super- heavy-lift rocket, the Space Launch System or “SLS”, as well as its new crew-rated spacecraft—Orion. With both of those projects well along in their development, NASA is now eyeing what it will need to support crews once they get to the destinations the agency sends them to. Proposals must be submitted by June 15 of this year and include plans for an evolvable approach to long-duration habitation and full-sized, ground prototypes no later than 2018—roughly the same time NASA is planning on launching SLS and Orion on their first flight.